Safer skincare into the hands of everyone, because everyone counts! We no longer need to compromise our health for the sake of feeling beautiful. What we put on our body is as important as what we put in our body. Your skin is your largest organ and everything applied to it goes into your bloodstream. I used to think if it was on the shelf it was safe, but the truth is the cosmetic industry in the United States is a self-regulated industry and they don't have to test all their ingredients for safety. 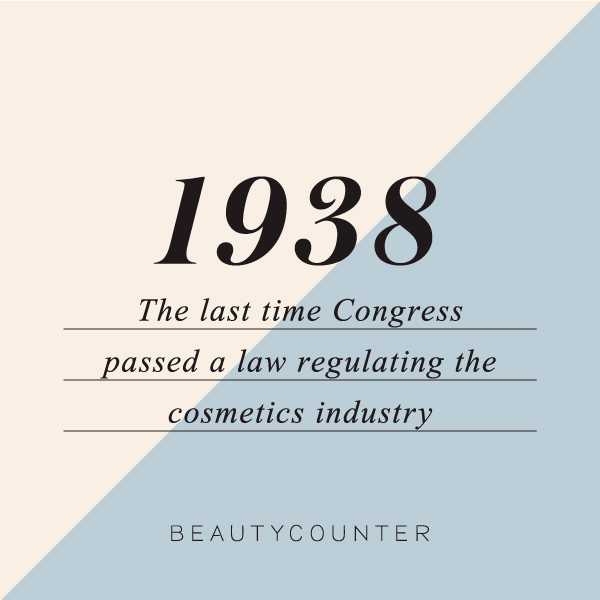 There hasn't been a law put in place to regulate the cosmetic industry since 1938! Cosmetic companies are allowed to use known toxic ingredients in their formulas. Ingredients that have have been linked to cancer, hormonal imbalance and reproductive issues and they are not required to fully disclose what is in their products to the consumer. This should shock everyone! Beautycounter is the game changer! They are on a mission to get safer skincare into the hands of everyone. Their product selection is setting the industry standard for safety and their dedication to testing their ingredients is strict. Their product lines have been verified by the Environmental Working Group as safe skincare and cosmetics. And they are working in Washington D.C. to change the industry for the better. This is a company focused on integrity and transparency. Want to experience Beautycounter products? Book a one-on-one or gather some friends for a social and we will share Beautycounter with you.